Ocean House Marina is a full-service sales and brokerage dealership. We sell boats–new and used–every week. If you’ve got a boat to sell, check with us first. We can probably help you find a buyer and complete a sale. But note we said “probably.” We understand that there are times when we cannot help a customer sell his boat. Maybe it’s a brand we do not usually deal with and, therefore, do not have a ready market for. Maybe you wish to avoid the added brokerage fees. There are lots of reasons why you might prefer to sell your boat privately, on your own. And that’s fine with us. We still want to help! Here are some good tips on how to sell your boat in the private marketplace. Start here. We recommend you list your boat on Craigslist, the extensive classified’s vault of the Internet. Visit craigslist.org and select the geographic location where you live (i.e., south coast, Rhode Island, Connecticut, etc). In the upper left-hand side of the screen, select “Create a Posting” and then select the “For Sale By Owner” button, and the “Boats–By Owner” button. To create your ad, enter the title or heading, usually the description of your boat, i.e. 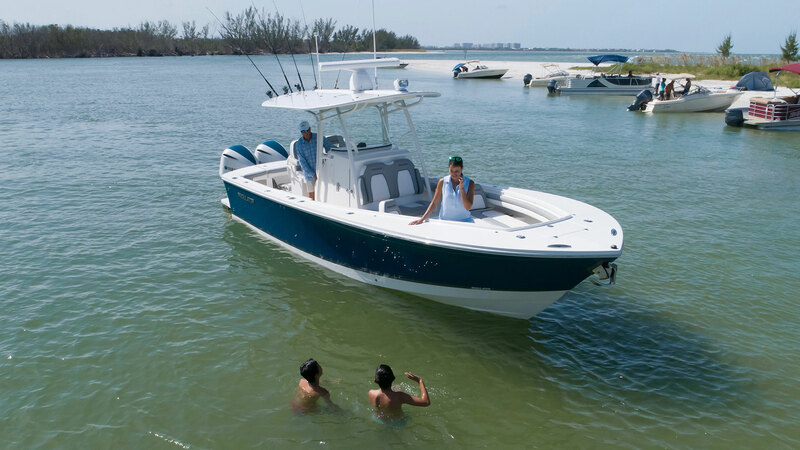 “2016 Boston Whaler Montauk.” Input your asking price. Then, create the descriptive copy that tells people about your boat. Keep it short and simple, and emphasize the best selling points of your boat, such as low hours, new outboard, the boat’s condition and any additional gear onboard that’s part of the sale. Enter your email address so that buyers can contact you with offers. Once all fields are filled in, select the “Continue” button. You will be prompted to upload any photographs for your listing ad. You can add up to 12 photos, and we recommend that you do so: imagine a buyer looking at your boat in person–show them every angle and feature of your boat. Once the images are uploaded, you will be able to preview your ad. If it all looks good, hit the “Publish” button. You will get a confirmation email and once you click on the link, your listing should “go live” within 15 minutes. Have your paperwork ready, get the boat cleaned and ready to show and respond to all inquiries as quickly as possible. Yes, you will get some “Lookie-Loos” who are not serious about buying your boat, but you never know when that one customer will decide that your boat is perfect. « Yamaha Sales Event Extended Through April 30, 2019!